Knitting Like Crazy: Stunning Stitches is Here! The day has finally arrived. 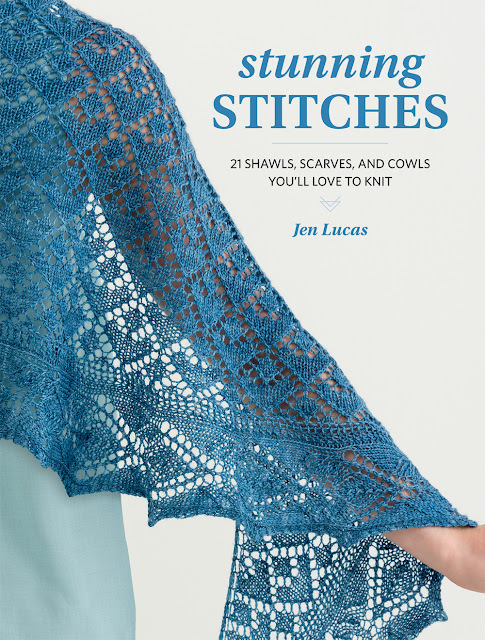 Stunning Stitches officially starts shipping today! Writing a knitting book is full of its ups and downs. One minute I'll be completely in love with the book, the next I'll ask myself 'What have I gotten myself into? Again!?' But, at the end of it, I'm always so pleased with the results, and thrilled to have another book out there for everyone to enjoy. Stunning Stitches is no different. I'm head-over-heels in love with this book! I think you'll really enjoy the book. It's full of accessories I know you'll love, and it's all based around stitch patterns that are just too pretty to use in a single design. Best-selling designer Jen Lucas puts her special spin on a unique collection of knitwear. 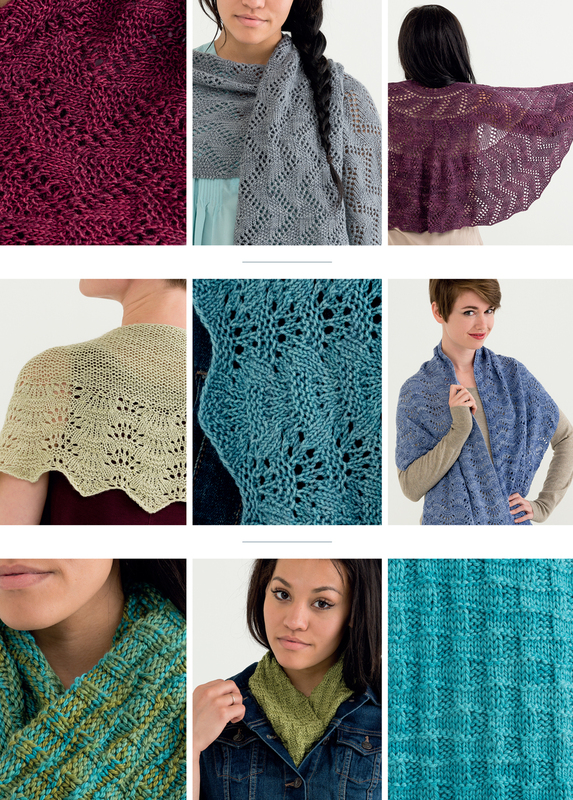 Discover seven eye-catching stitch patterns, each used to create three distinctive accessories, such as a sensational scarf, a cozy cowl, and a spectacular shawl. So, to celebrate, let's have a book giveaway! What's your favorite pattern in the book? You can see all the patterns on Ravelry. Leave a comment on this blog post before Sunday, May 21 at 11:59pm central time. 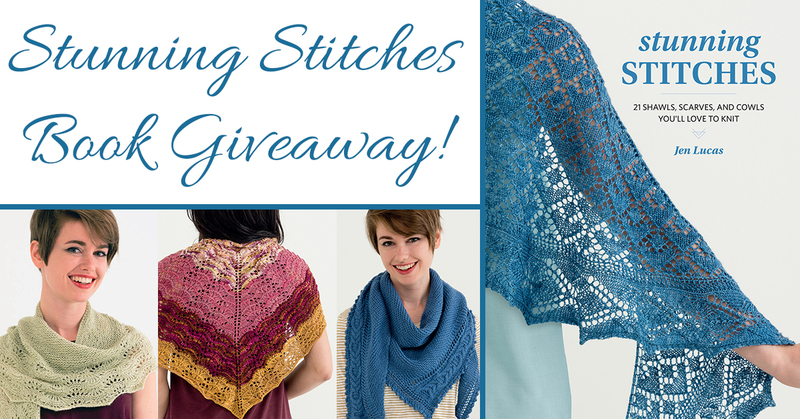 Be sure to leave your Ravelry name or email so I can contact you should you win. I'll pick 2 (TWO!!!) winners using a random number generator. Good luck! 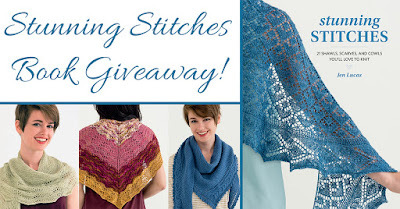 I can't wait to hear which pattern you want to knit first!